As the Giro d’Italia cycle race kicks off today in Belfast Khushi’s own ‘Grand Tour’ is continuing. We’re well on the way to Kolkata now, with eighteen riders so far having taken part in our epic virtual bike ride. (See the latest progress on the Dashboard.) Some have been piling on the miles, while others have managed a creditable few – each mile adding to the total. How about you? We need more riders to sign up and help us to our target. Cycling is the third most popular recreational activity in the UK. 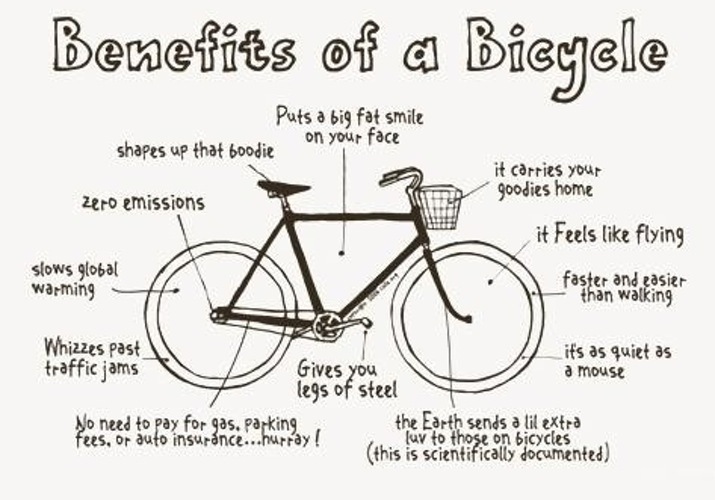 An estimated 3.1 million people ride a bicycle each month. You can read all about the Benefits of Cycling over on the NHS web site, and if you’re looking for motivation the Thirty Reasons to Take Up Cycling on bikeradar.com should do the job. Just remember – every little helps. You may not think you have much to offer, but the odd mile here and there and a little bit of sponsor money will really make a difference! All the information you need to get started can be found on the On Your Bikes page. So why not sign up today!